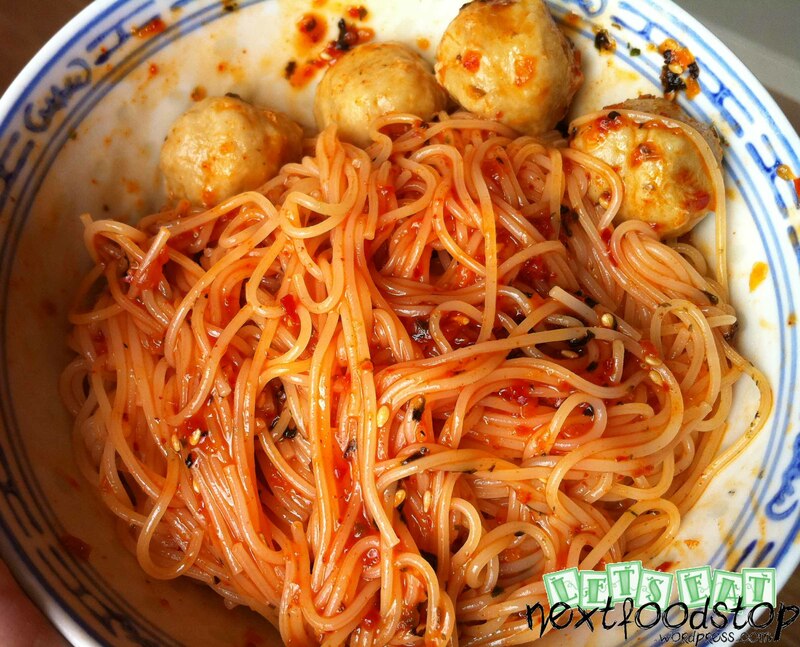 My mum’s version of Heng Hua pa-mee that she adapted from our neighbour many years back. The broth contains all the sweetness from the venus clams (la-la) that gives the dish its distinct flavour. Absolutely delicious! 1. Stir-fry minced garlic and shallots together with sliced pork belly till fragrant or light brown. 3. Use a strainer to remove residue in the broth. 4. In another pot of water, cook the venus clams till they are cooked (opened). Discard those that did not open. Let this water stand for about 30 minutes so that any residual sand can sink to the bottom of the pot. Otherwise, use a fine mesh strainer. 5. Add this water to the broth and bring to boil. 6. 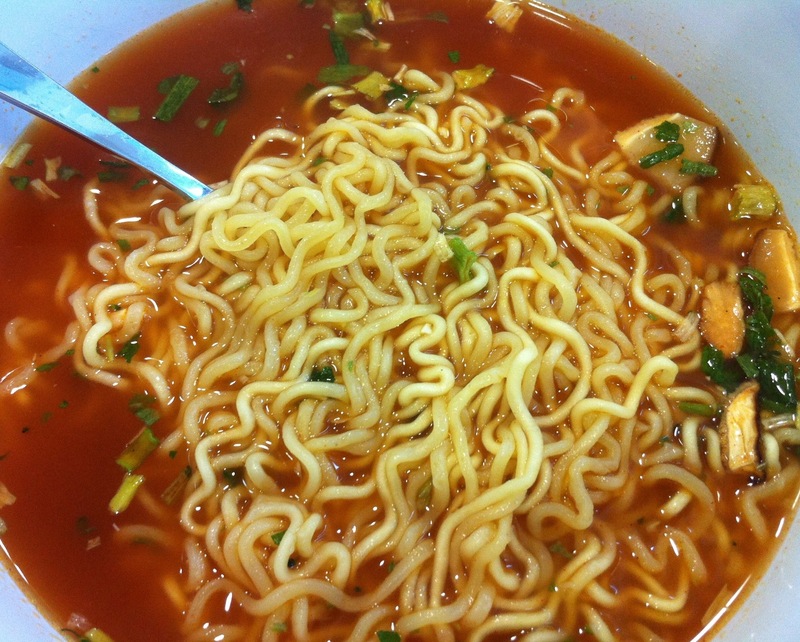 Cook the noodles in another pot of water so that the excess starch does not go into the broth. 7. Slice up all other ingredients. Add ingredients and noodles into broth. Mix in the venus clams. 9. Garnish with coriander, spring onions, fried shallots and serve hot. 10. Mince some garlic and chilli to make a garlic-chilli dip. This goes very well with the noodles. 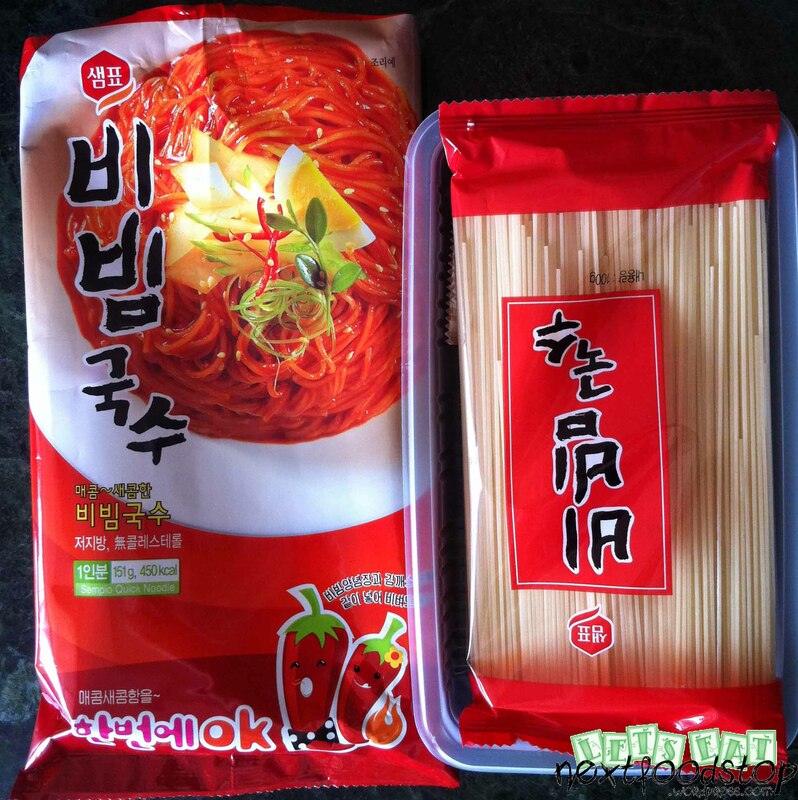 This packaging doesn’t really state the flavour of the noodles except only that it’s spicy. Just by looking at the colour of the soup, you are well assured that it is of certain spicy-ness. The taste is really quite good and you get the “shiok” factor after slurping it down. 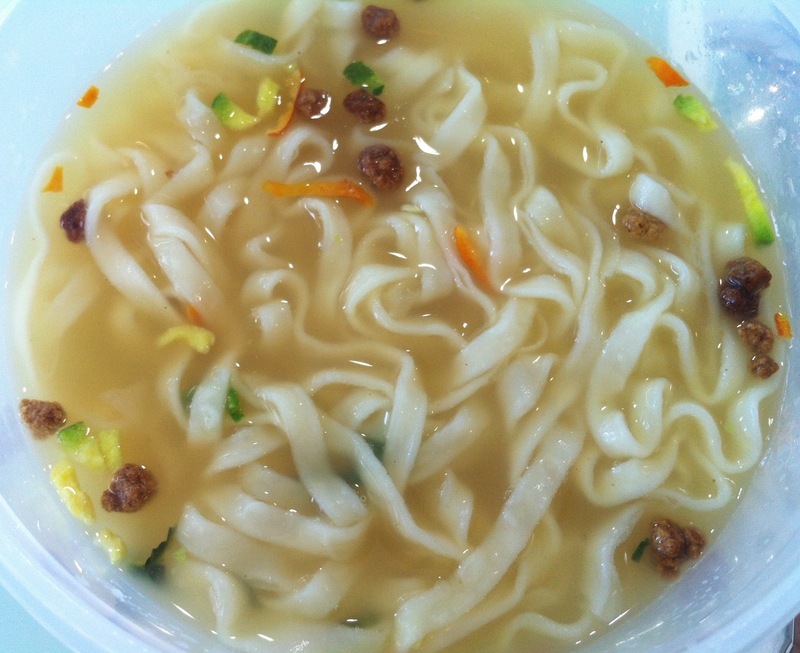 These noodles have a nice texture accompanied by a light chicken base broth. 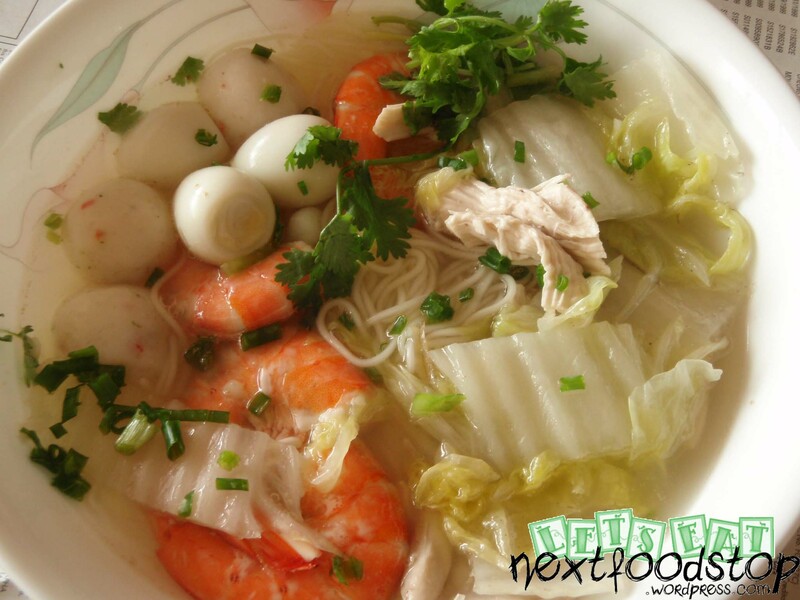 The garnishes add a lively yellow, green, orange and brown colour to the slightly off-white flat noodles. 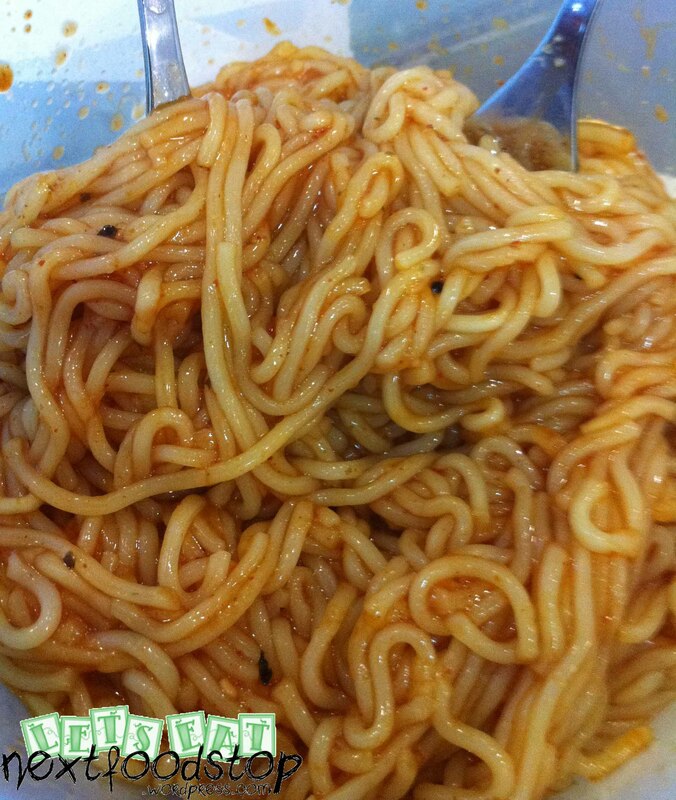 It was a surprise when I opened this packet of noodles for lunch yesterday! It comes with a vacuumed packet of clams!!! The noodles are not the traditional thin type. 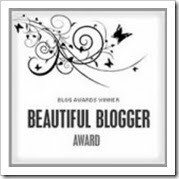 It is white, flat and thin! Its texture is good too! 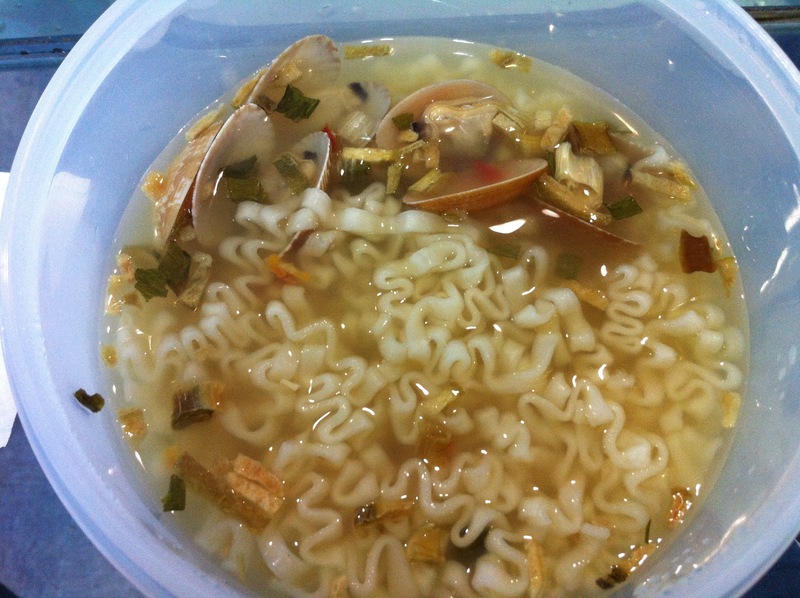 I cooked this in a microwave, so after the noodles are cooked, I opened the packet of clams and poured them inside my noodles. The clams opened themselves so elegantly! The soup base is light yet filled with the sweetness of the clams. 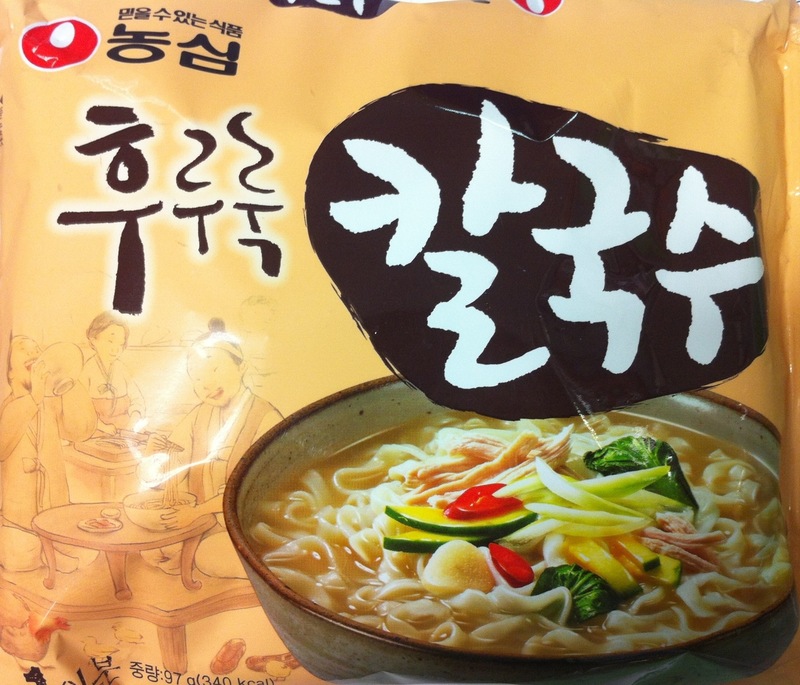 Lovely instant noodles! 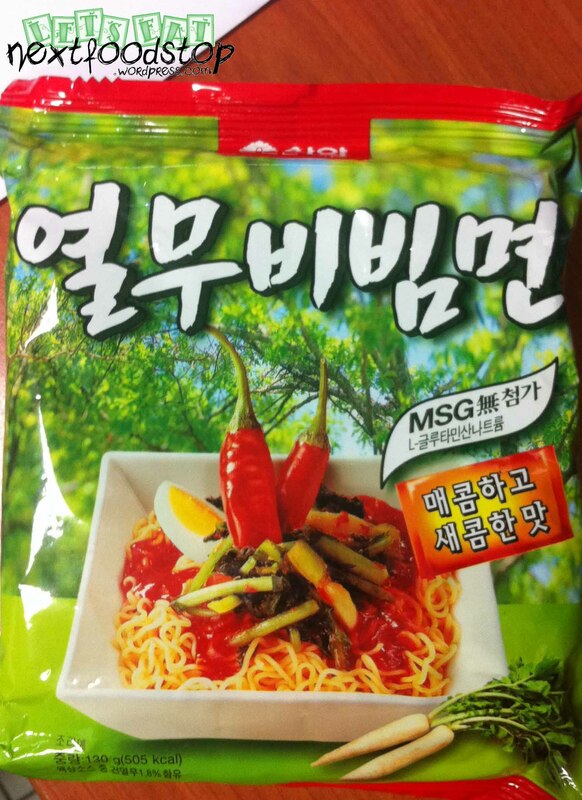 My colleague introduced me this instant noodles saying this is hotter than Maggie’s kari pedas. 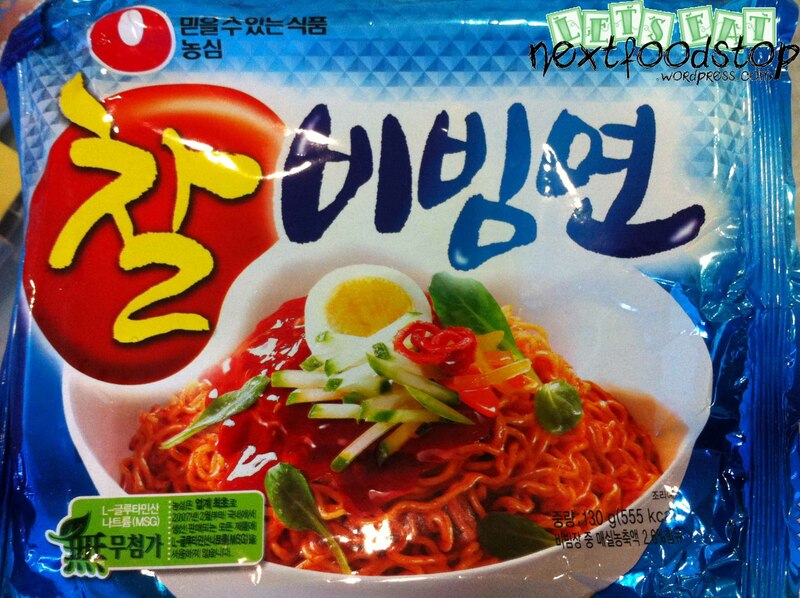 I can’t find this in Singapore’s stores. 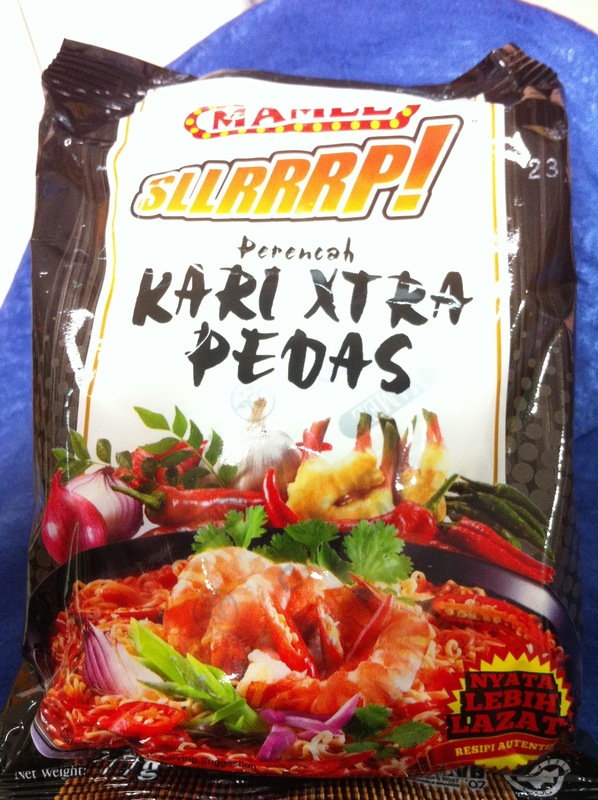 My colleague bought this from JB’s supermarket. 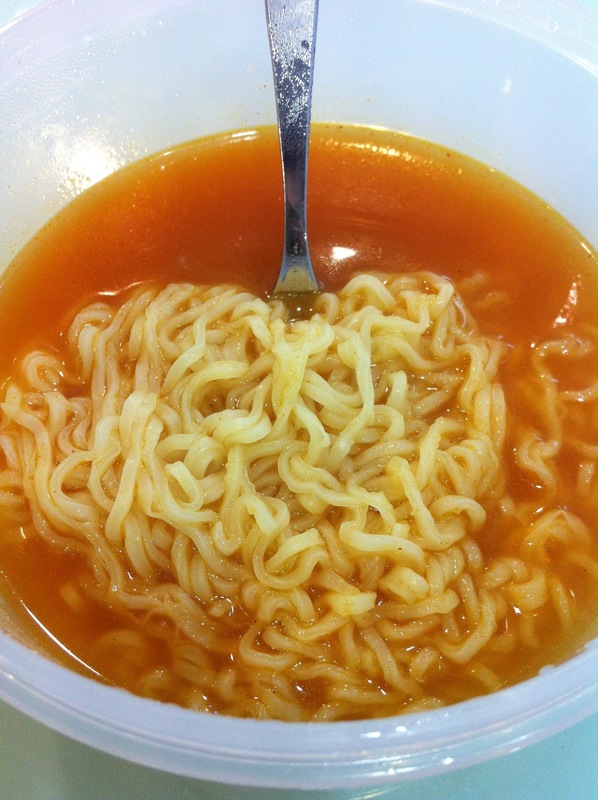 The soup color is redder than Maggie’s and is really hotter. Try it! Had the mood to cook for my family one Saturday morning. 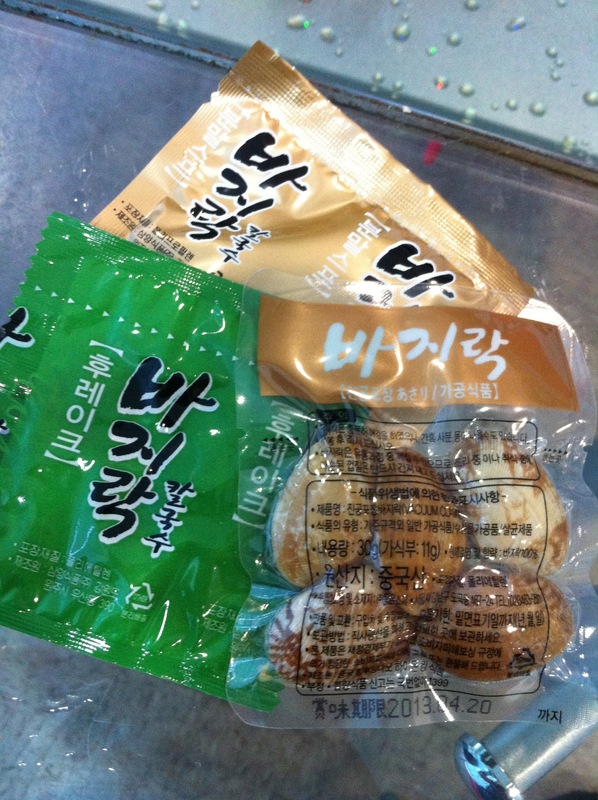 After visiting the dentist, I went to NTUC and bought my ingredients. Light and healthy lunch! 1) Wash and cut one whole chicken. 2) Fragrant the pot with smashed garlics and dried ikan bilis. 3) Then pour water into the pot over the fragrant garlics. Add more water to make the soup. 4) Put in the chicken to boil together. 5) Once the chicken is cooked, remove it from heat. Tear out the chicken meat into shreds and save it for serving later. 6) Put the chicken bones back into the soup and continue boiling under gentle flame for 1 hour. 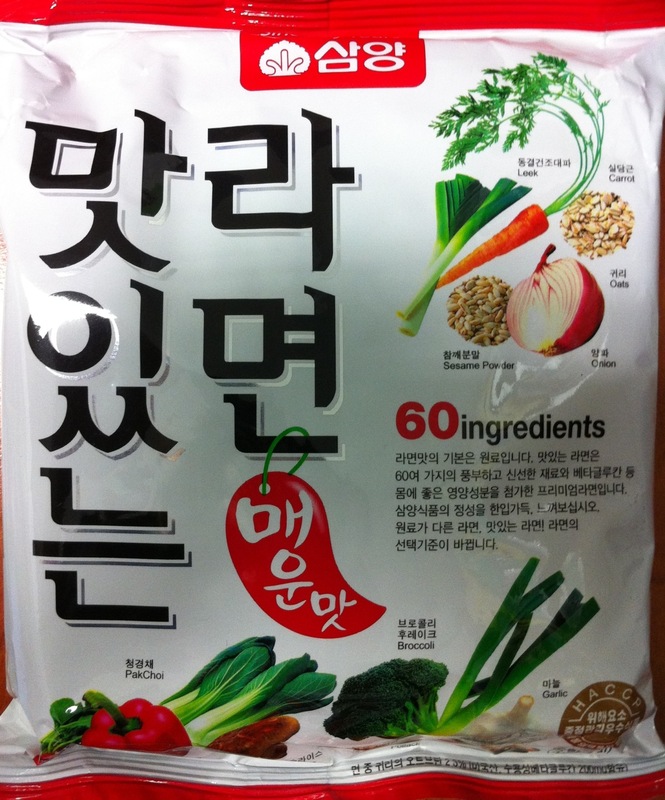 7) At the end, you can add chicken stocks or mushroom powder, salt and pepper to taste. 1) Wash and clean the prawn intestines. 2) Cook the prawns in a separate pot. Add some of these “prawn” water into the chicken soup. 3) Wash and cut the chinese cabbage. Cook in the chicken soup to add in the sweetness. Remove from heat after cooked. 4) Boil the quail’s eggs in a separate pot. Remove shells after cooked. 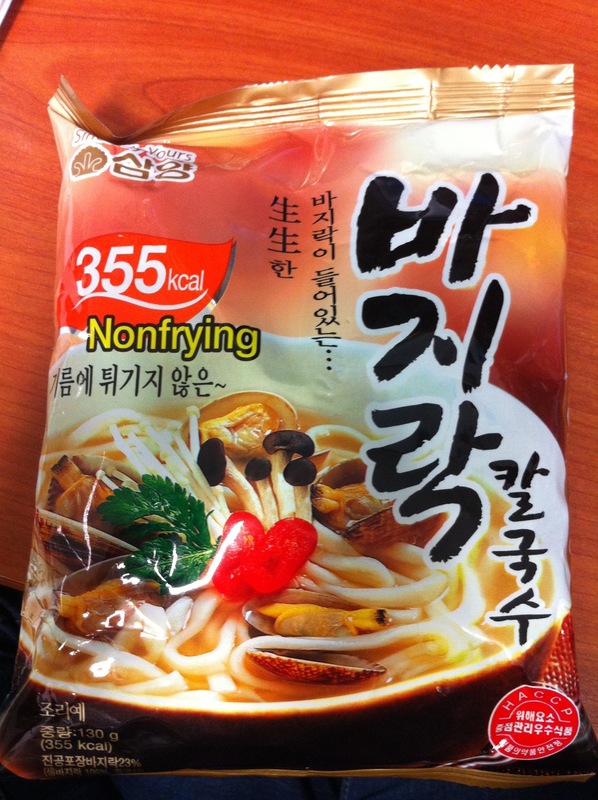 5) Cook the fish balls in a separate pot too if you do not like the “fishy” smell to get into your soup base. 1) I bought Japanese somen. Used 3 bundles to serve 4 pax. 2) In a wok of boiling water, I cooked the noodles. 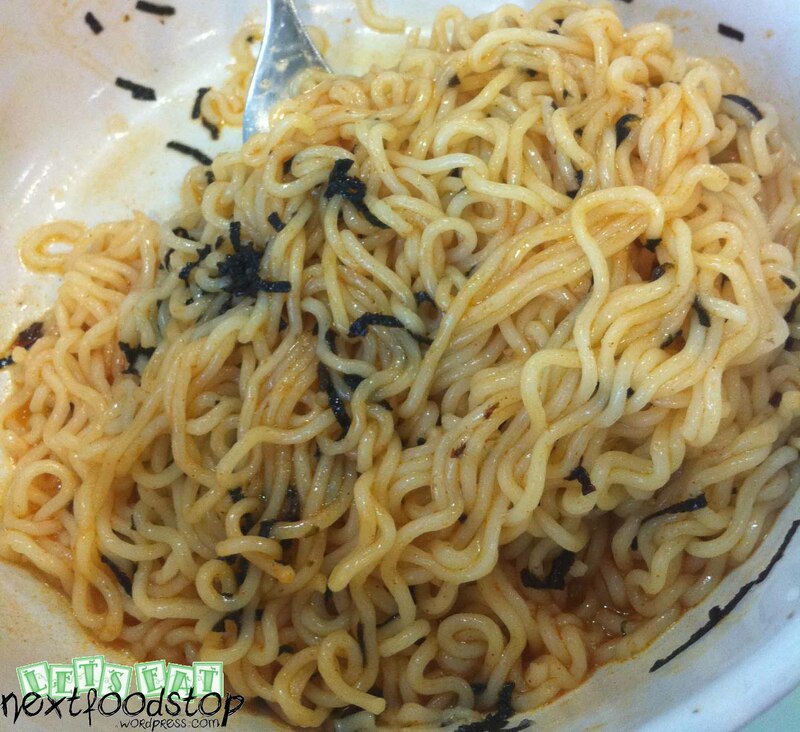 3) Be careful not to overcook the noodles. 4) Remove from heat and throw into ice water to make them springy. 5) Separate into individual serving bowls. Add the cooked ingredient into the bowls and run and strain everything with the hot soup, then finally add soup.